The commander of the Strategic Rocket Forces, Sergey Karakayev, told journalists that in 2016 his service received everything necessary for deployment of 23 RS-24 Yars missiles, both silo-based and road-mobile. The missiles were deployed with five regiments: road-mobile in Yoshkar-Ola, Irkutsk, Novosibirsk, and Nizhniy Tagil divisions; silo-based - in Kozelsk. One regiment in Kozelsk already had ten missiles at the end of 2015, so the silo-based regiment that received missiles in 2016 was the second one that is converted to Yars. 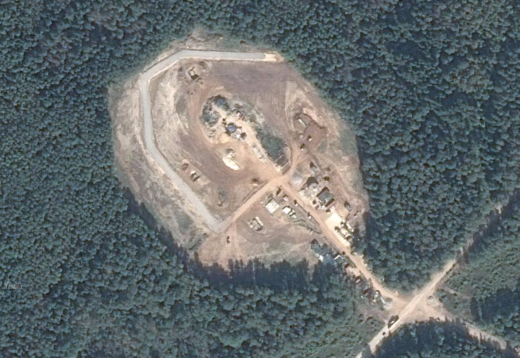 Yandex has an image of the construction at some of the silos of the 74th missile regiment (only three silos are within the image, though - 53.884405, 35.726630, 53.826322, 35.700417, 53.776191, 35.694036). I am not sure if that's the first or the second Yars regiment there. Probably the second. Back in the early 2016, Spetstroy reported that it converting ten additional silos in Kozelsk, two of which were expected to be ready by the end of the year. So, most likely there were two missiles that were deployed in silos in 2016. This leaves 21 road-mobile missiles that went to four regiments in Yoshkar-Ola, Irkutsk, Novosibirsk, and Nizhniy Tagil. Back in December 2015, I estimated that there were 21 Yars missiles in Novosibirsk. If that estimate is correct, then it is reasonable to assume that the Novosibirsk division received 6 new missiles in 2016, bringing the total to 27 in its three regiments that are still active. Nizhniy Tagil also has three active regiments. I estimated that they had 24 missiles in December 2015, so it may have receive 3 new missiles this year and the total is now 27. This leaves 12 missiles to be divided between Irkutsk and Yoshkar-Ola. Irkutsk division has three active regiments and there is some activity there. It was reported that in 2016 one of the regiments received Yars missiles for "test combat service" ("опытное боевое дежурство"). This means that it may have received only three new Yars missiles, but it could be six as well. As for Yoshkar-Ola, a video released by Zvezda TV suggests that the missiles went to the 779 regiment (Yubileinyy, 56.582595, 48.155083). It is entirely possible that it now has one complete regiment of nine missiles (if there are three in Irkutsk). Or it may have an incomplete regiment with six missiles. With 23 new missile deployed in 2016, the total number of RS-24 Yars ICBMs is now 96. Of these, 84 are road-mobile and 12 are silo-based. Apart from the reconstructed bases at 58.230244°60.680535° (308 RGT) and 58.137990° 60.536846° (804 RGT) the third activce site (using the old Topol Krona shelters!) is over here 58.102135° 60.360601° (TS=Terraserver show RS-24 under camo net: https://www.terraserver.com/view?utf8=%E2%9C%93&search_text=58.102135+60.360601&searchLat=&searchLng=) as of August 2016. This should be 433 RGT. 428 RGt for sure (55.313853°83.029162°). 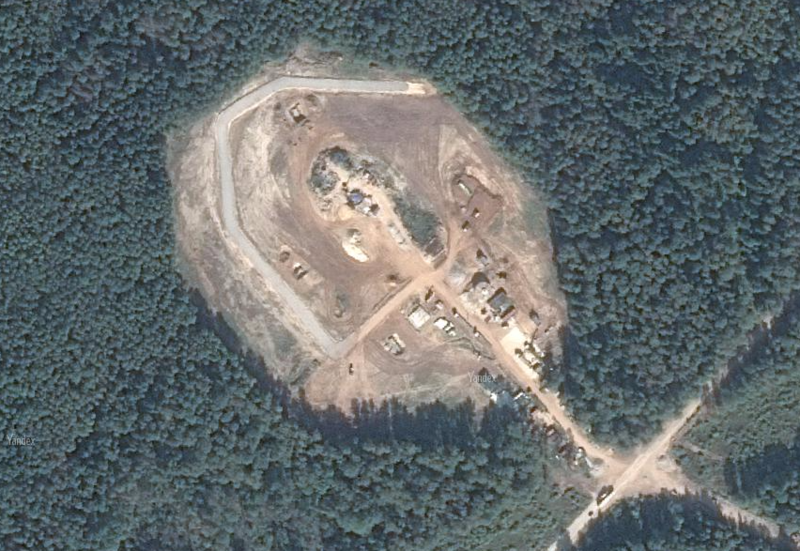 328 RGT - as of Sept 2016 still without shelters - only some construction work (TS). 357 RGT (55.324710° 82.942466°) - Oct 2016 - old garages but in good shape. Could be in use as it is the case with 804 RGT Nishniy Taigil. 344 RGT - 52.669400° 104.520916° - March 2016 - old garages still in place - seems to be an active site. Could be in use by RS-24. 586 RGT - 52.552325°104.159622° - Sept 2016: old garages still in place - seems to be an active site. Could be in use by RS-24. Summary: 2 active sites with 344 & 586 RGT. Probably one with Topol and one with RS-24. I don't know what concept they have for RS-26. Did you see the recent statement about the SRFs, claiming that there are approx 400 ICBM launchers and missiles in the OOB ("боевой состав") of the SRFs? kaluginivan: Yes, I've seen the report, but I don't think the number is accurate. Bernd: Thank you. I tried Bing, but for some reason it would not take me to any coordinates. Maybe it was a temporary glitch. If the images are from 2013, this is probably the first regiment that was converted. If the numbers are not accurate, then is it purposefull desinformation? I don't think it was done with any specific purpose. Yeah that is known...but which one is the second? 168 or 373?